I was very excited when I first saw news on this product, then I was quickly let down by the misrepresentation of the term “Mix Room”. NX is essentially a plugin that lets you move your head around and feel what it would feel like to be in a mix room. It can mix in stereo and surround. It is supposed to make mixing in headphones feel more real. Where it falls flat is that it does not correct the fundamental flaws in mixing with headphones, creating flat response. If this plugin featured something to correct EQ and phase coherencies in headphones, we would be in business, but unfortunately, this plugin does not do that. It does however probably help in creating music by giving you a more “roomy” feel. KNOXVILLE, TN, January 28, 2016 — Waves Audio, a leading provider of digital signal processing solutions, is now shipping Waves Nx, a Virtual Mix Room plugin that puts you in the sweet spot – everywhere you go. 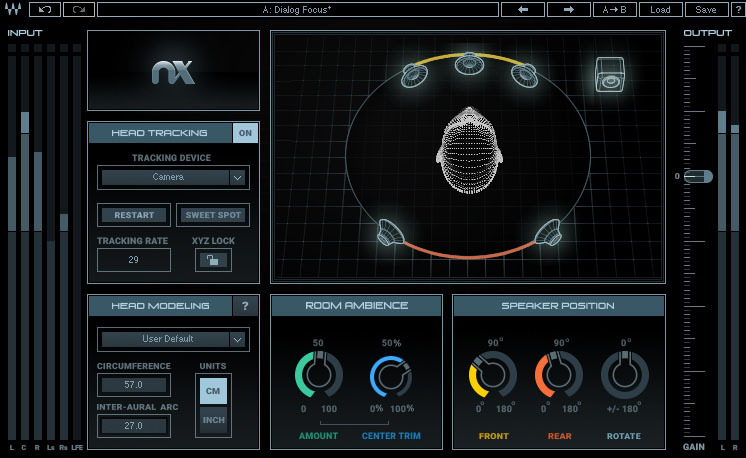 Waves Nx gives you the optimal acoustics of a great mix room – right inside your headphones. Powered by Waves’ groundbreaking Nx technology, this plugin lets you hear, on headphones, the same natural depth, natural reflections, and panoramic stereo image you would be hearing from speakers in an actual, physical room. You can now enjoy all the advantages of headphones – portability, affordability, privacy – with all the acoustic benefits of a great-sounding, fully professional mixing facility. Waves Nx “unmasks” your headphone sound, letting you hear everything with real-world dimension, rather than flat in your head. This way, you can hear all the elements of your mix accurately laid out in space, just as you would in the sweet spot of a beautiful-sounding room. Waves Nx finally bridges the gap between monitoring on speakers and monitoring on headphones: no longer do you have to worry that what you’ve mixed on headphones will sound different once you switch to speakers. By letting you hear on headphones the same natural depth and stereo spread you would be hearing on external monitors, Waves Nx puts an end to constant cross-referencing between the two. Need to spend hours at a time mixing on headphones? By delivering the natural listening experience of a physical room, Waves Nx makes the headphone experience comfortable and ear-friendly over long periods of time. Want to mix for 5.1 surround on your regular stereo headphones? Waves Nx lets you do exactly that – a true revolution in the world of surround mixing. Most important: Waves Nx does all this without coloring your sound in any way. What you hear is your mix, exactly the way you want it to sound – only now you have a more accurate way to monitor it on headphones. 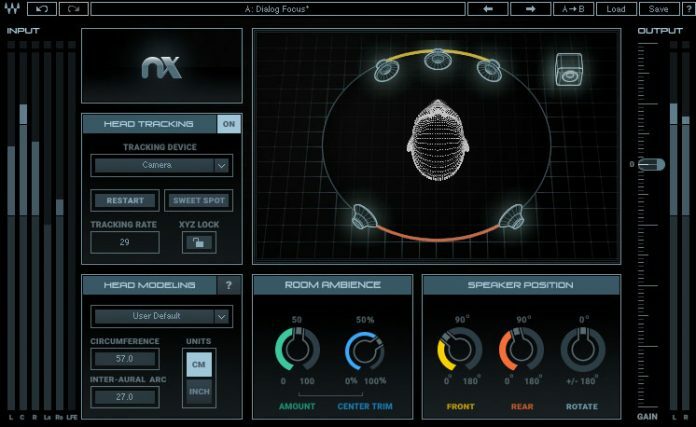 Use Waves Nx with real-time head tracking – taking advantage of your computer’s camera or the Waves Head Tracker unit – and enjoy the enhanced realism of being in the Virtual Mix Room, anywhere and everywhere you go.